» Stuff I Want: Crying Wallet Edition うぐぅ～! 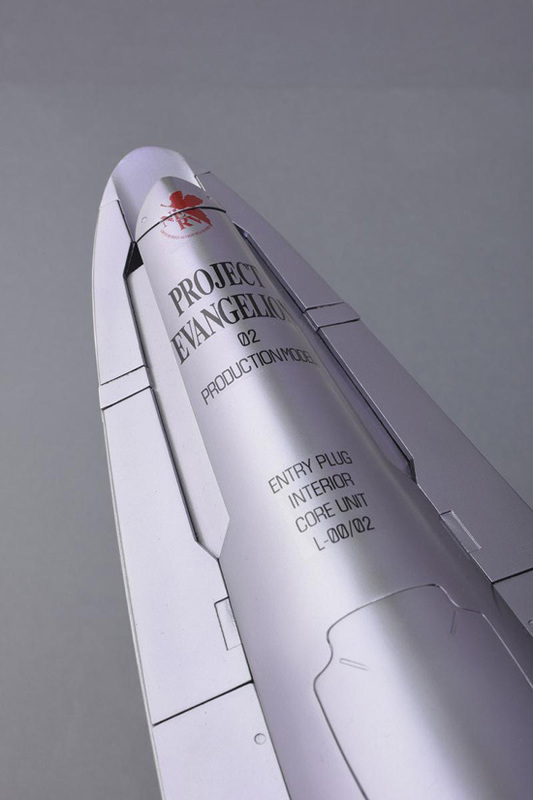 First up, Asuka in Eva 02′s Entry Plug interior, the Rebuild of Evangelion version, made by a new company called VERTEX. 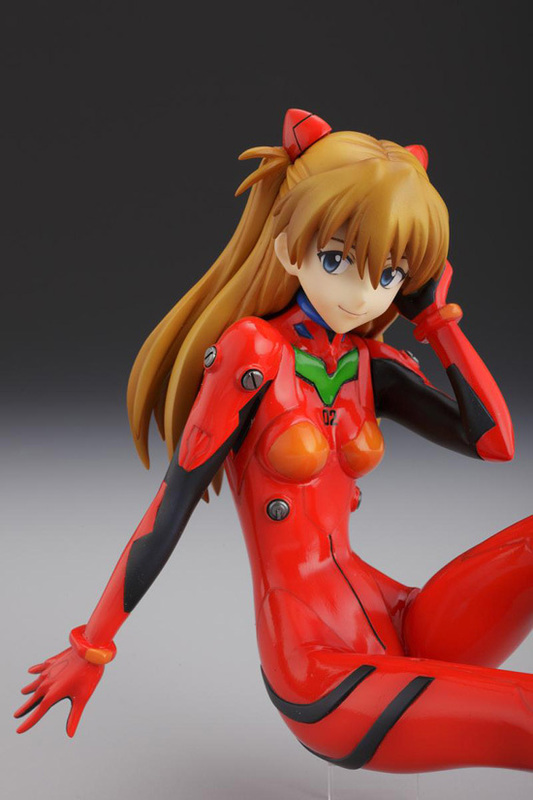 You’re basically getting two figurines here, Asuka herself, and the Entry Plug. Now, if you’re eating or drinking anything, you might want to swallow and put down what you’re eating or drinking, or you might choke after the next sentence. This beauty has a recommended retail price of around ¥40.000. That’s no typo, that’s fourty-thousand Japanese Yen. Once you’ve recovered, keep reading, I’ll reveal why in a bit; first, some more pictures. 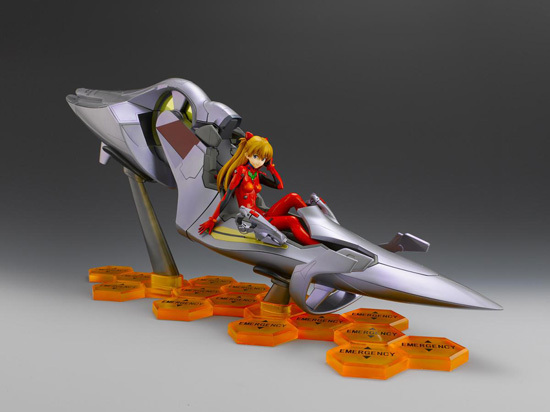 Now, I already have a Enty Plug interior like this, with Rei in it, but the detail on this Asuka looks to be quite a bit better, especially the shading. The Entry Plug itself is very detailed as well, it looks like there’s even shading on the wire at the back of that control lever. Helpful identification, in case there’s any heathen that does not know about Evangelion. 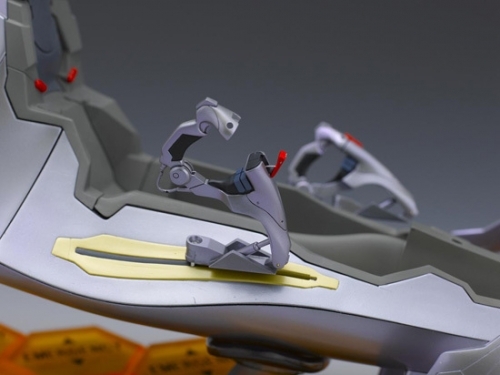 Oh, and that big wheel-thingy lights up, that’s bound to drive the price up – but it doesn’t quite explain why it’s 3,5 times more expensive than the one with Rei that I have. The one with ’800mm’ in it? This thing is 80 centimeters long. 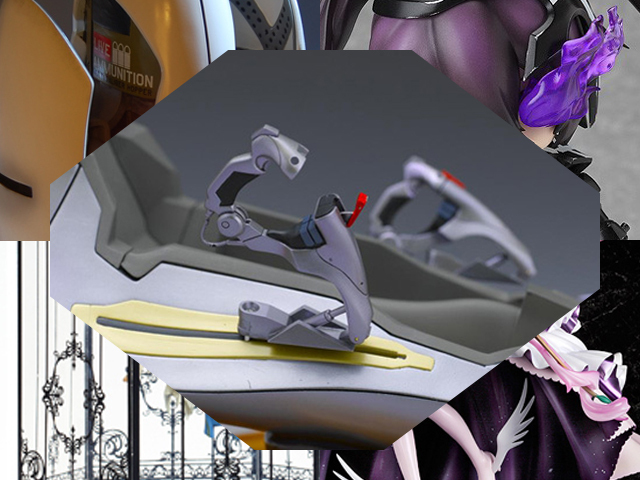 It’ll be the biggest figurine I’ll own! Now, I did say it has a recommended price of ¥40.000, but luckily Hobbysearch has her for ¥33.432, so I pre-ordered her from there, but it’s still one pricey figurine – thankfully I have until a little while to scrape the money together. And find room for her. 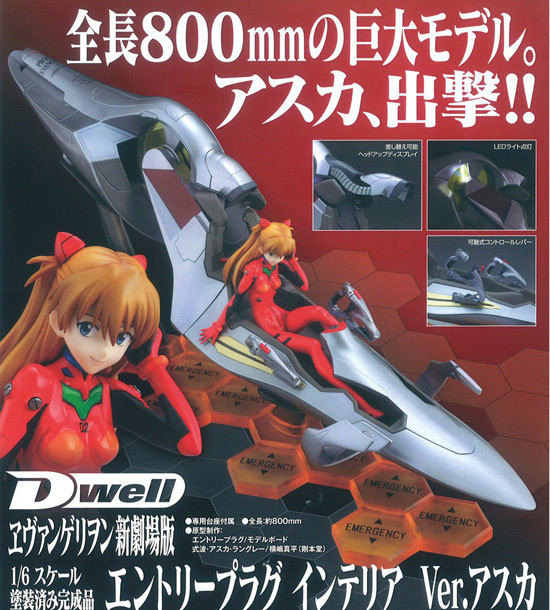 Release date: December 2012, ¥33.432 at Hobbystock. Good, on to a cheaper one! 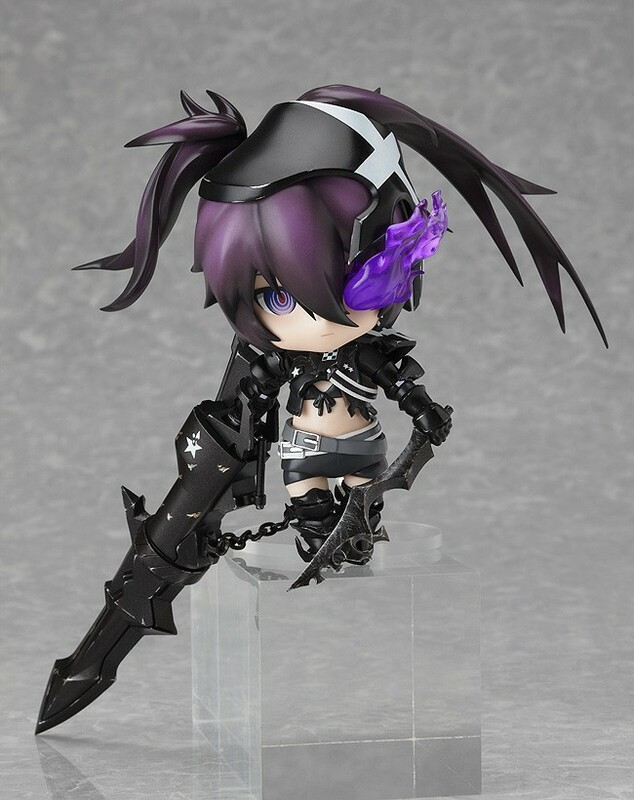 This Insane Black Rock Shooter Nendoroid looks to be a GSC-shop exclusive release, but since she’s not opened up for preorders just yet, that might change. 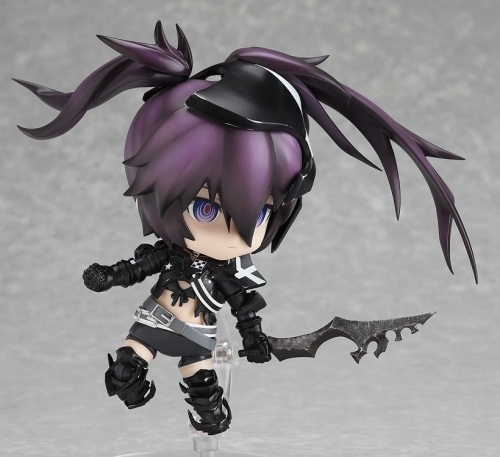 I confess I haven’t seen the TV-series yet, but since I’m a massive fan of the BRS-designs, and I already have almost all the other non-figma figurines, I’ll get her as well. I love the weathering on this one – usually Nendoroids are very clean, it’s nice to see a slightly different look for once. Release date: Late November 2012, ¥3.500 at the Goodsmile Online Shop (preorders open July 29). Aaand we’re back to the expensive ones! Ultimate Madoka, from Puella Magi Madoka Magica, by Good Smile Company. 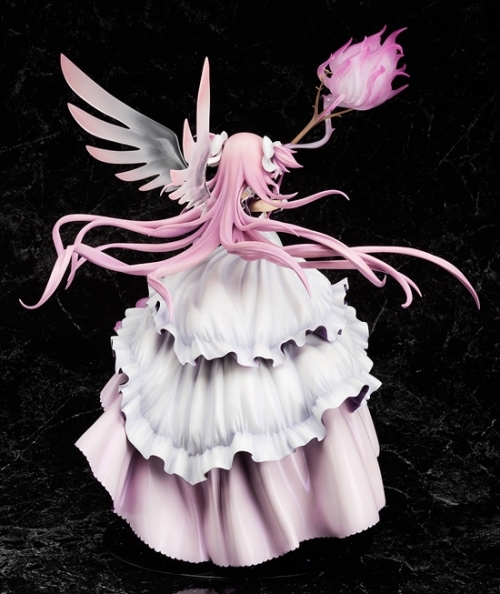 I still haven’t seen the show, but I’ve (pre-)ordered all the figurines from it, since they are very, very pretty, and I just couldn’t resist this one. I’ll have trouble putting her anywhere, just like with the Asuka, since she’s 33cm high, but that’s something for a later date. I absolutely love the starry look of her dress. Gorgeous shading, and her hair flows beautifully. 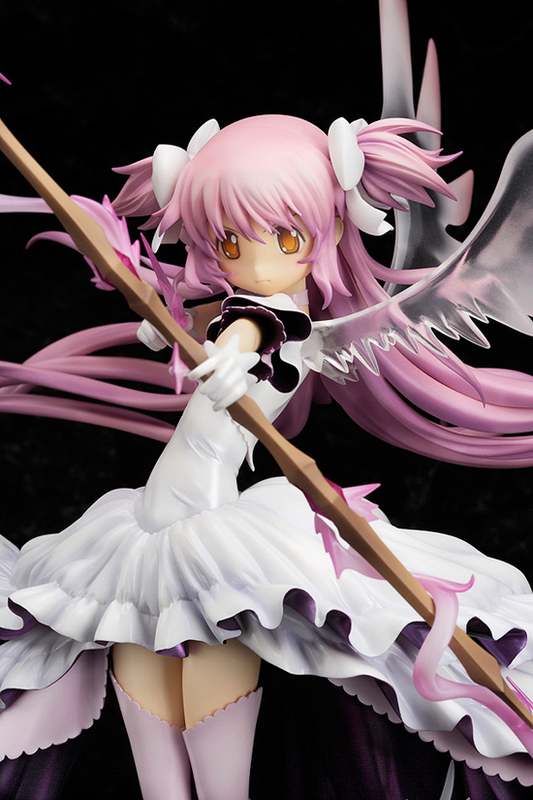 Tough-looking Madoka – a bit of a change from her other figurine-incarnations. Release date: November 2012, ¥11.100 at Hobbystock. ¥14.800 at GSC’s own shop, which will also get you a B2 poster. I went for the cheaper option. Then we have Sayame, apparently from Qupita Qupitos – Gikyoku Torikago no Shoujo, which translates to “Qupita Qupitos – The Girl from the Birdcage Drama”. 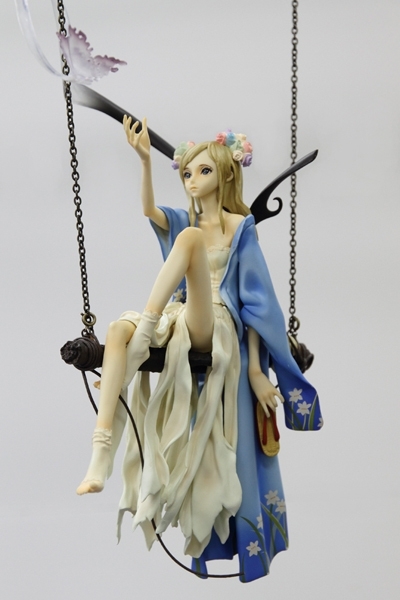 I can’t really find anything on it, and there’s been a garage kit of this figurine out for quite a while, so it’s either from some obscure RPG, eroge, or an original character by someone with a lot of imagination. Another ‘where the heck am I going to put this?’-type of figurine. Sayame herself is only 15cm high, but with the whole contraption holding her up, it’s going to be somewhat more difficult to place her anywhere. I love the sculpting and the pose. She looks very fragile, and I love the contrast between the dirty and torn robes and the seemingly untouched kimono. Very rarely do figurines have a sad look, it’s a rare treat to see. This might solve the ‘where to put her’ problem, but I’m afraid that it’s going to be rather weak plastic, and can’t hold up the weight. 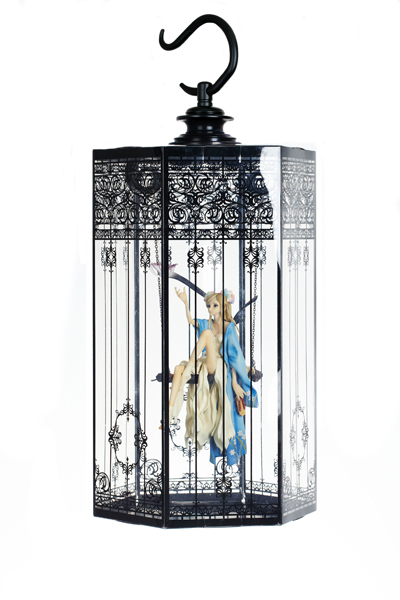 I might try to find an antique birdcage somewhere else, and hang her up in that. 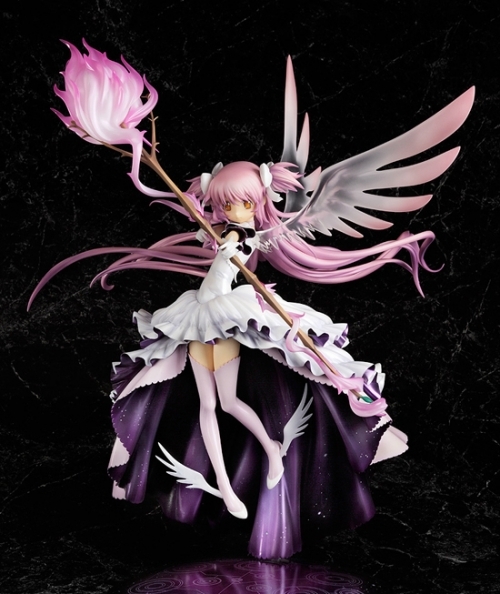 Release date: October 2012, ¥9.000 at Hobbystock. Because by the end of this year, this little guy will be! Not anime-related, but who cares, it’s so insanely awesome I just have to share it. 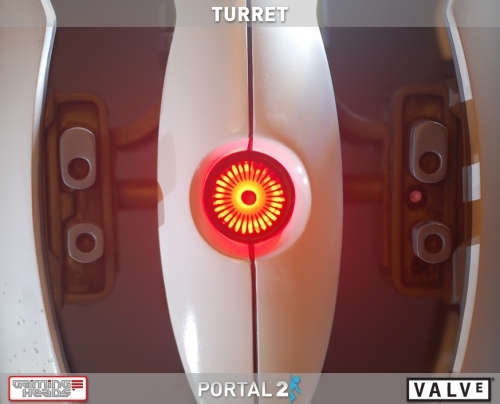 For those who have missed out on two of the best games of the past few years, it’s an Aperture Sentry Turret from Portal & Portal 2, made by Gaming Heads. Those guys have already used the in-game models to recreate a several Team Fortress 2 characters,Left 4 Dead zombies, and a Half-Life 2 headcrab-zombie, and they have now started on making things from Portal. There are two versions of every statue they make: a normal version, which in this case has a run of 750 pieces, and an exclusive version with a run of 350 pieces. For the other statues the exclusive version means it comes with extra weapons. 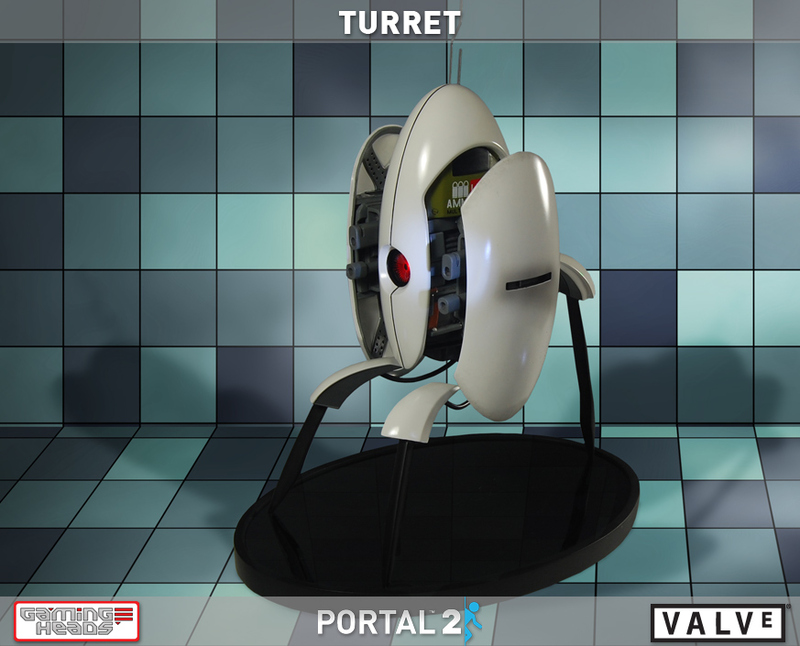 Now since a Turret doesn’t need extra guns, because it fires 65% more bullet, per bullet. 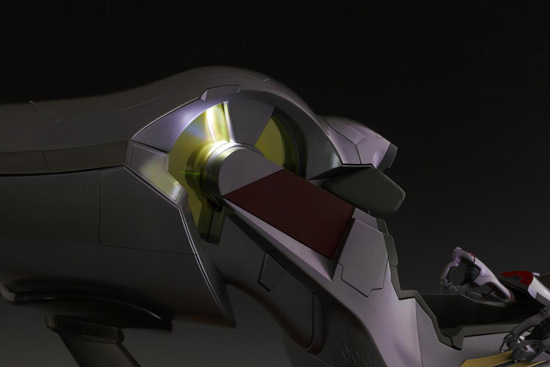 Now the normal version already comes with a motion sensor that activates the Turret’s eye when you wave in front of it. 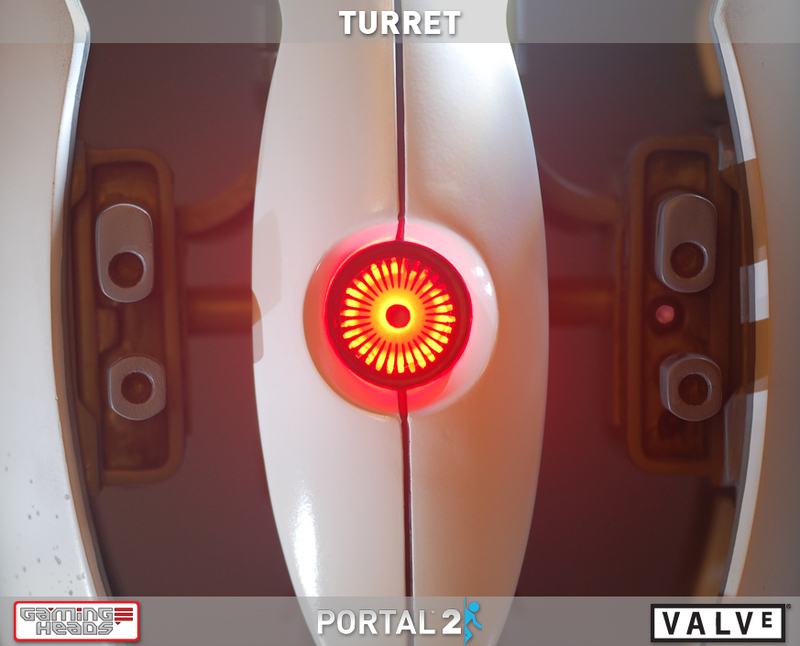 For the exclusive version they’ve also added a sound module that will play the Turret’s audio clips from the games. And did I mention this beauty is 40cm tall? Because it is. Anyway, I bought it the moment the preorders opened up, and I’m glad I did, because the exclusive version was sold out within a day. 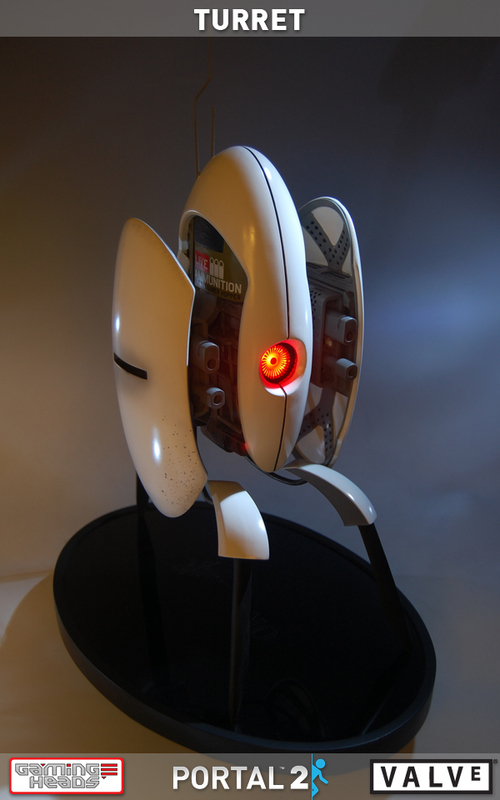 Release date: Q4 2012, $299.99/$324,99 (normal/exclusive) at Gaming Heads. The exclusive version is sold out (there is a waiting list in case of cancellations though), but the normal version is still available. 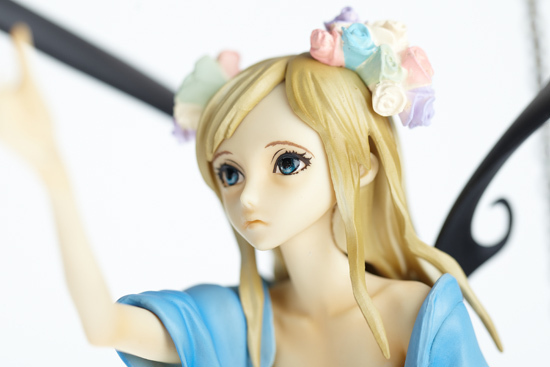 Images taken from Hobbystock, Goodsmile Online Shop and Gaming Heads.